D & T Auto, Inc. | Welcome and Enjoy! D & T Auto, Inc. Established in 1979, D & T Auto, Inc. has been buying, selling, and trading used cars in the Forest Lake/Columbus community for over thirty years. After so many years in the business, we have gained a reputation for fairness and affordability. Also, we have developed relationships with many repeat customers that have become personal friends. 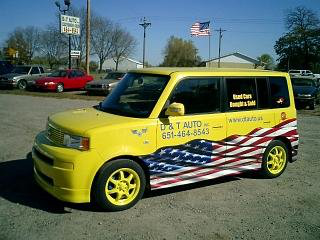 At D & T Auto, Inc., there are cars to fit any life style and any budget. From the classic ‘winter beater’ to the ‘paint the town red’ luxury car. We also have a wide selection of classic cars waiting for that special touch to restore them to their former beauty. Remember…Our stock changes daily!!! Please visit us in person or contact us for an updated list of available vehicles.